Luxury Cars for Sale in Milton. If you are living in the Milton area and you are wanting to buy a luxury car, we recommend that you come into the dealership at Budds’ BMW Oakville as we have a wide variety of luxury cars for sale in Milton. Vehicles in the 5, 6, and 7 series are classified as luxury BMW vehicles. These models include the highest quality materials, have the most innovative technology, and come with various leather options for the interior. A Milton resident seeking luxury cars for sale need not compromise on quality. A luxury BMW vehicle comes with unique advantages when purchased at a certified dealership such as Budds’ BMW Oakville. At Budds’ BMW Oakville we offer our clients competitive finance rates, extended warranty options and quality luxury cars for sale in Milton. BMW has a long history of creating exceptional driving machines with a wide variety of features. If you are looking for luxury cars for sale in Milton, you should be aware that BMW is dedicated to producing technically innovative models of all our vehicles. It is not just the attractive design language of the vehicle, but rather the superior engineering, drivetrain and suspension components that makes for a dynamic and intoxicating drive experience with our vehicles. 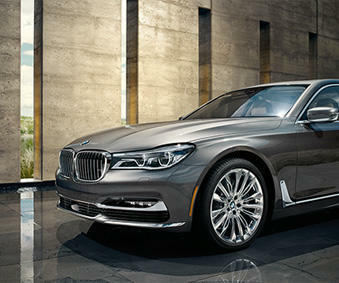 The BMW 5, 6, and 7-series models are the pinnacle of quality and exceptional performance for someone looking for a luxury car for sale in Milton. As there are so many specifications and features available with luxury vehicles these days, it stands to reason that you should take your time in deciding which ones you want when searching for luxury cars in Milton. A touch screen in the dash, an entertainment system to keep the kids amused, and many many more features are achievable in BMW vehicles. The highest quality leather options and technology are available in our luxury line vehicles. If you are looking for luxury cars for sale in Milton, you should come into Budds’ BMW Oakville and speak with one of our representatives. Determining the luxury vehicle you wish to purchase is the first step. The next step will be to research the process for maintenance to you vehicle if should ever need to be serviced. BMW offer clients free maintenance for the first 50,000 kms on a new luxury vehicle. If you are looking for more expensive luxury cars for sale in Milton, BMW offers more lucrative maintenance packages for these vehicles. If you are in the Milton area, we recommend that you visit Budds’ BMW Oakville to search our extensive inventory of luxury cars for sale in Milton. We can provide you with outstanding customer service from the moment you step foot into the dealership!